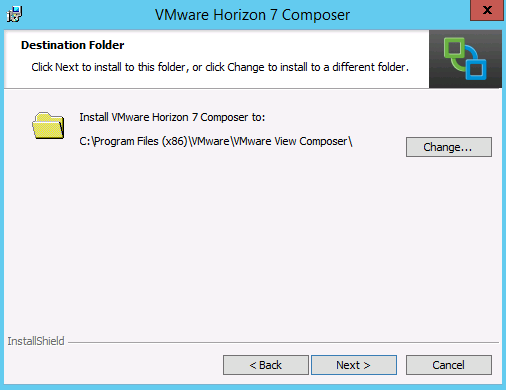 VMware View Composer is a component of VMware Horizon View, which provides rapid deployment, linked clones. 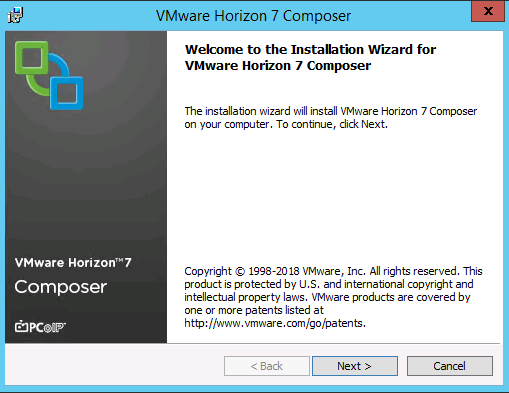 With help of composer, you can create linked clones which provides 50% to 90% reduction in storage requirements for virtual desktops.My previous post was bout Horizon View Connection Server 7.5 and In this post I will be explaining about view composer and its installation procedure . 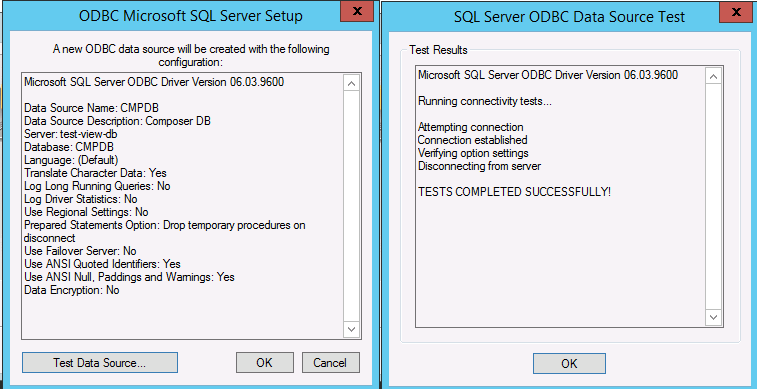 Both are correlated you need Connection Server to use the composer and composer required for provision linked clones from connection server . Also you can manage desktop pools by creating golden image, which is master OS that share a common virtual disk. All cloned desktops linked to the master image and can be patched or updated through simply updating the master image. 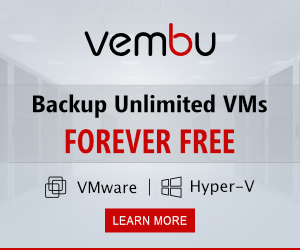 Moreover, any actions like patching or modification of cloned desktops will not affect users’ settings, data, or applications. As I mentioned above from the golden image or parent virtual machine, you will be taking snapshot of that VM, then deploy desktops from the snapshot. Composer will create replica from the snapshot which is thin provisioned mode of the Parent VM and that will be used for desktops.Desktops created as linked clone, which implemented with a delta disk “linked” to the replica disk and all the change that happens to the desktop are stored will be on the delta disk. 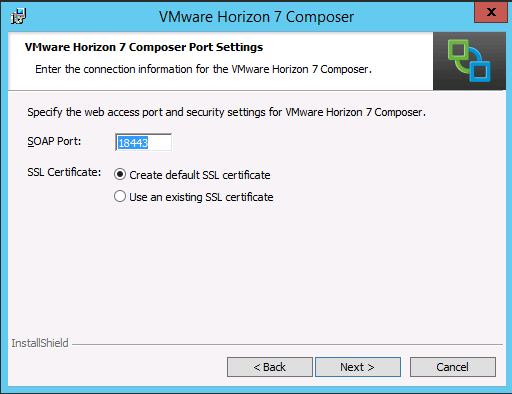 You have to refer VMware KB article to under stand the port requirements and note that composer will have communication to connection server and VMware infrastructure . 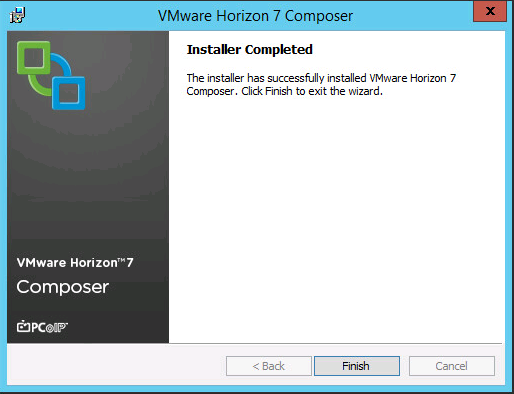 View Composer cannot be installed on a Horizon 7 Connection Server. 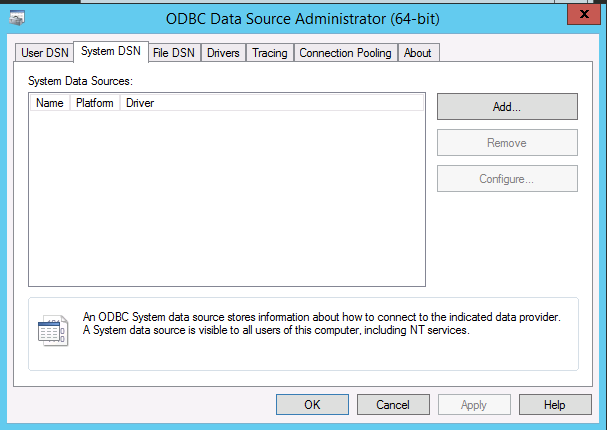 Windows Server 2008 R2 with no service pack no longer supported. 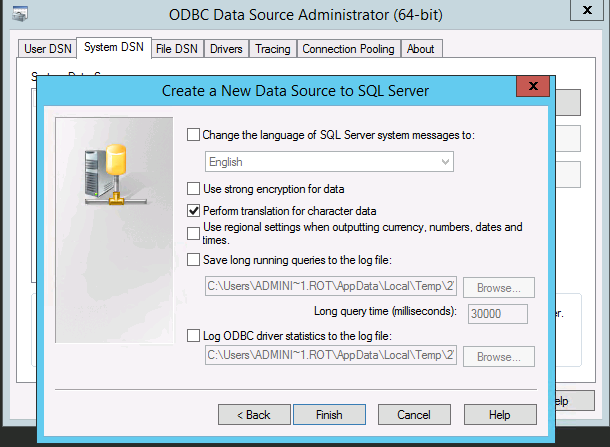 View Composer requires an SQL database ( Composer DB) to store data. 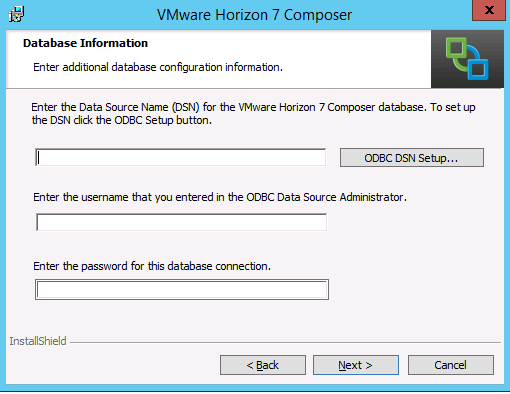 Events database to record information from Horizon Connection Server about Horizon events , optional . 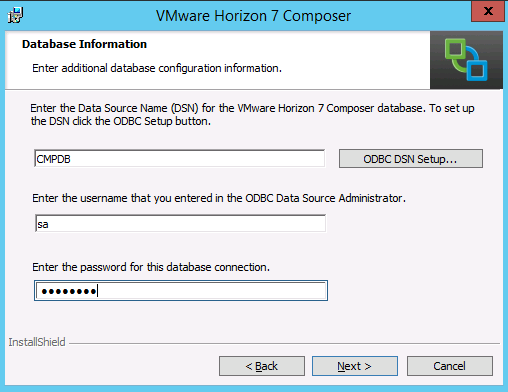 Each Composer instance must have its own View Composer database and this data base shouldn’t be shared with Multiple View Composer servers. 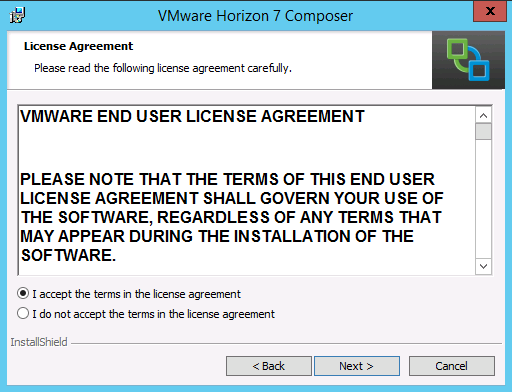 Horizon view license to install and use the View Composer feature. 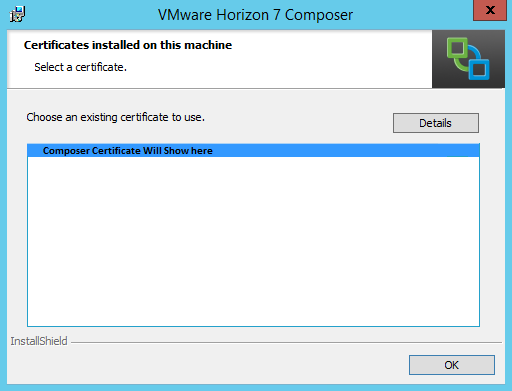 Follow Best Practice for Configure VMware Infrastructure for Composer. 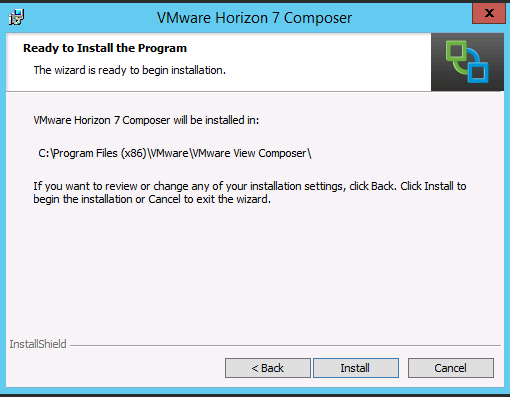 Any Horizon 7 component, including Connection Server, security server, Horizon Agent, or Horizon Client should not be installed on the machine on which you intend to install View Composer. 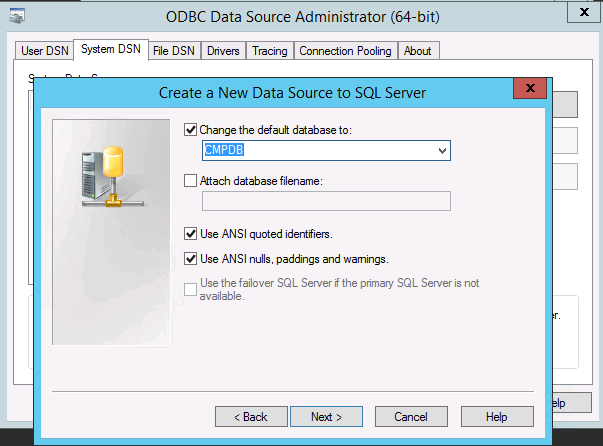 Required a DSN which is configured from ODBC wizard and you have to enter this information while installing the View Composer service. View Composer server should not have any applications that use Windows SSL libraries that require SSL version 2 (SSLv2) provided through the Microsoft Secure Channel (Schannel) security package. The View Composer installer disables SSLv2 on the Microsoft Schannel. Applications such as Tomcat, which uses Java SSL, or Apache, which uses OpenSSL, are not affected by this constraint. Composer installation required a user with administrator privileges on the system. 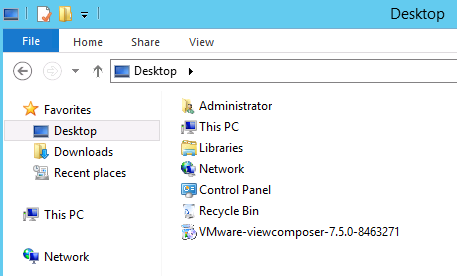 View Composer is used to deploy linked-clone desktop pools and Install this you should have a valid license. 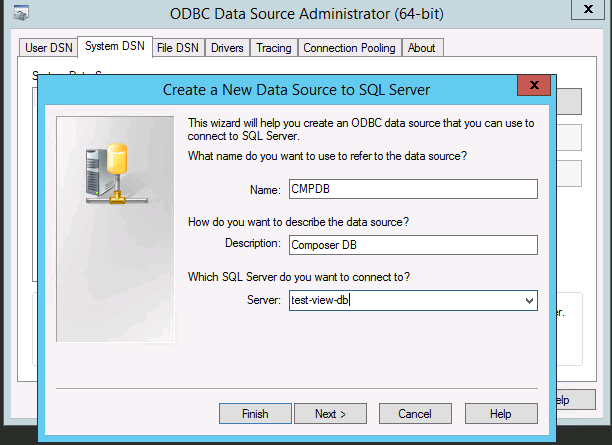 Change the default database to Composer DB from drop-down menu which you are planning to use for Horizon Composer and click Next , then finish in text where you can test connectivity from Composer to DB . 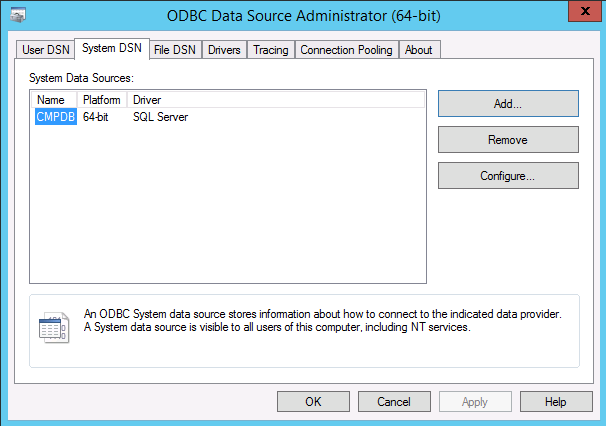 Select the Test Data Source option to do connectivity test and click ok to navigate to DSN Tab.  Composer Port Settings page will appears and default port 18443 will there and you can create or choose a valid certificate which is available on the server by Use an existing SSL certificate and select the certificate. Click Next. After the installation completed server required Reboot and you have to Click Yes when asked to restart the computer on the pop-up . 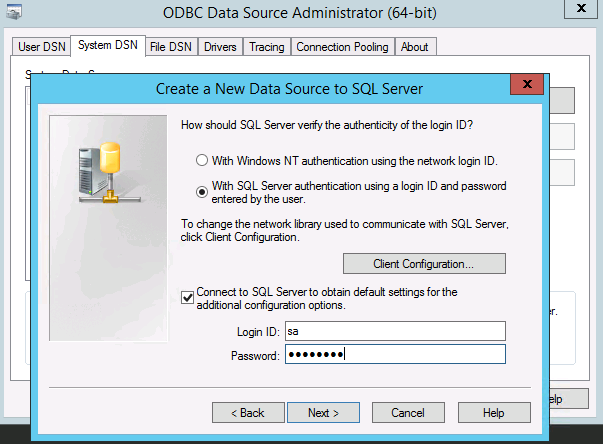 Note :- If you are accessing the composer through remote desktop manager for the installation of the Composer session will be disconnected and if its is virtual machine you have reboot the server by login to console , and if it is physical server you have to perform this through remote management console / remote cli option . 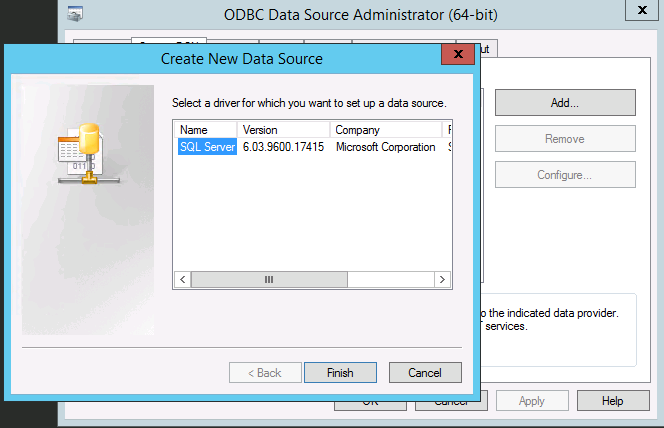 You have to create proper backup schedule of the Composer Data base , incase composer server crashed you don’t have to have be panic .Only new new provisioning will not work and existing pool will be working fine , after rebuilding or recreating new composer server you can map/restore the database from backup composer server will having all details with previous configuration .